A Captive Insurance Company (CIC) is a property and casualty insurance company established to provide coverage primarily for a parent company and its affiliated entities. It can be a valuable risk management tool, which allows businesses to more effectively manage corporate risks of all kinds. Captives often are set up to provide unique coverage or coverage not available through commercial property and casualty insurance companies. In many cases, the owner of the parent company is also the owner of the captive; however, the arrangement may be alternatively structured so the captive is owned directly by the operating company, another person, entity, or trust. The captive insurance company must act as a legitimate business entity and must remain in compliance with all insurance regulatory provisions and Internal Revenue Service requirements. 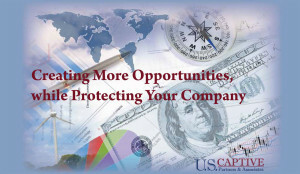 There are numerous potential advantages to forming a captive insurance company. Captive insurance companies are formed for both economic and risk management purposes. By forming a captive insurance company, a business can dramatically lower insurance costs in comparison to premiums paid to a conventional property and casualty insurance company. A captive insurance company can provide protection against risks, which prove to be too costly in commercial markets or may be generally unavailable. With a captive insurance company, a business owner can address their self-insured risks by paying tax-deductible premium payments to their captive insurance company. To the extent the captive generates profits, those dollars belong to the owner of the captive. U.S. Captive Partners & Associates will coordinate the services between the insurance company, risk manager and actuary to determine an appropriate amount of premium to be paid for the coverage being provided. Premium payments made by the operating company to the captive insurance company for property and casualty insurance coverage should be tax- deductible as an ordinary and necessary business expense, just as they would be treated had they been made to a traditional insurance company. Are Captives New to the Marketplace? Captive Insurance is not a new concept. The concept of a business forming a wholly-owned insurance company which would insure its owner’s risks can be traced back to the group of London merchants who lost their assets in the Tooley Street fire in 1861. The concept continued in the 1920s when several corporations with multi-national interests, including British Petroleum, Unilever and Lufthansa each formed wholly-owned insurance companies. The late Fred Reiss conceived and marketed the concept of a wholly-owned insurance company which he called a “captive” (CIC). Captives have stood the test of time since 1957 when Reiss formed his first captive in Cleveland, Ohio for the Youngstown Sheet and Tube Company. Most Fortune 500 companies have their own Captives. Thousands of small companies have also set up captive insurance companies. What is different today is that a client can enjoy a conservative structure within a highly regulated U.S. Domicile with reasonable cost, or they can also enjoy an international structure offering economies of scale that allow captive implementation on a very cost efficient basis. The captive should not pay federal income tax on premium income. Investment income is taxable to the captive insurance company at graduated corporate rates. Dividends distributed from the captive should be taxed at long-term capital gains rates as a qualifying dividend. Internal Revenue Code 831(b) provides significant tax advantages for small insurance companies (Captives), as long as annual premiums are $2.2 million or less. What Type of Company Should Consider a Captive? A company considering forming a captive must have the financial resources to contribute to the captive insurance company. In Addition, all jurisdictions have minimum capital requirements for captive insurance companies, and successful operations require the services of numerous professionals such as lawyers, actuaries, accountants, etc., to assist with the creation and provide ongoing maintenance of the captive. U.S. Captive Partners & Associates will coordinate the activities of the other professionals, on a turn-key basis. What Jurisdiction Should I Select for my Captive Insurance Company? There are many excellent jurisdictions to consider, within the U.S., as well as offshore. 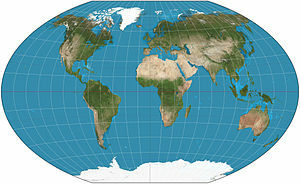 In addition to the domicile considerations noted above, geography should be added to the list. You may be required to travel to the jurisdiction to perform any implementation activities and physically form the captive insurance company. Additionally, many jurisdictions require the captive to have at least one meeting per year within the jurisdiction, along with a registered agent and a physical address. There are numerous domiciles offering attractive captive statutes, with excellent regulatory oversight, respected courts, significant case law and corporate law expertise in a stable environment. Several jurisdictions allow for captive design and formation with efficient, cost-effective structures. What Investments Can a Captive Own to Provide Reserves? A captive can own any investment approved by the insurance regulators in the jurisdiction where the captive insurance company is domiciled. It is important for the captive to maintain appropriate liquid reserves in order to meet potential claims liabilities. Therefore, captive insurance companies are highly regulated, and investment portfolios tend to be conservative and provide significant liquidity. U.S. Captive Partners & Associates works closely with the insurance regulators in each domicile, to ensure that captive investment portfolios are conservative and provide adequate liquidity to allow for payment of claims and expenses. How Can I Find Out if a Captive Insurance Arrangement is Right for Me? In order to make a determination if a captive insurance arrangement is desirable, U.S. Captive Partners & Associates will facilitate the preparation of a feasibility analysis. This is an analysis, which includes input from actuaries, attorneys and risk managers. The purpose is to analyze the parent company’s risk profile and financial position to determine the appropriate type of insurance policies to underwrite along with an analysis of the legal environment for the proposed captive domicile and financial projections for the captive that the company is forming. U.S. Captive Partners & Associates have the ability to implement captives in multiple domiciles. While many of the leading domiciles have favorable laws, no one jurisdiction offers the best solution for every client and every captive. 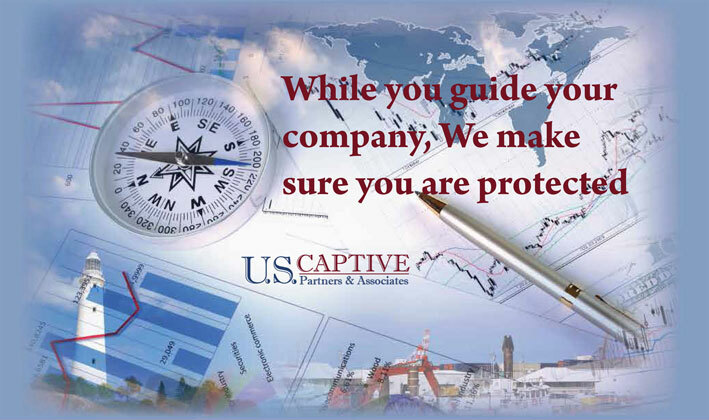 U.S. Captive Partners & Associates expert team of advisors has the regulatory relationships, experience and knowledge to assist in the selection of the most appropriate domicile to generate the most favorable risk management, compliance, profitability, tax and legal results. U.S. Captive Partners & Associates can also help to evaluate the effectiveness of existing captive insurance structures for business owners contemplating re-domiciling their captive. Given the current climate of increased scrutiny of international business arrangements, many clients have elected to explore onshore captive formation for enhanced peace of mind. Alternatively, many clients have elected to structure their captive company in adherence to U.S. regulatory requirements in a more cost-efficient international domicile. In order to be eligible for the favorable taxation, it is crucial that the captive insurance company be structured and managed as an insurance company, providing true risk, for appropriate premium levels. The Service has frequently stated that an insurance contract must fall within the “commonly accepted sense of insurance” based upon a number of factual determinations. A captive insurance company must be organized and operated for bona fide business purpose and demonstrate both risk shifting and risk distribution in order for the arrangement to meet the requirements to qualify as insurance in the commonly accepted sense. Internal Revenue Code 831(b) provides significant tax advantages for small captive insurance companies. Captive insurance companies may be taxed only on their investment income, and do not pay taxes on the premiums they collect, providing premiums to the captive do not exceed $2.2M annually. Further, the captive may retain surplus from underwriting profits free of income tax. Investment income is taxable to the captive insurance company at graduated corporate rates, while dividends paid out of a captive, if any, should be taxed at long-term capital gains rates as a qualifying dividend. Historically, implementation costs for a new captive insurance company have been significant. This has been especially true for captive companies domiciled in the United States. While captive insurance companies are used extensively by the majority of Fortune 500 Companies, implementation costs for small to midsize business owners have proven to be too high to allow them to benefit from cost-effective structures. U.S. Captive Partners & Associates cost efficient captive structures allow businesses of all sizes to utilize a captive insurance company at reasonable cost. Should you choose to form a captive insurance company, the professional team at U.S. Captive Partners & Associates will coordinate implementation with the insurance company, providing captive planning with one of the most attractive pricing structures in the industry. It is not unusual for prospective clients to tell us that charges for their captive insurance company far exceeded what they were told by the promoter. The pricing process for U.S. Captive Partners & Associates captive insurance solutions is honest and straightforward, with no surprises or “fine print”. U.S. Captive Partners & Associates have eliminated the hidden charges typically associated with captive insurance company formation and ongoing management, and in many cases our cost structure is significantly more attractive than the competition. U.S. Captive Partners & Associates turn-key approach is complemented by an “all-inclusive” fee structure. U.S. Captive Partners & Associates work with our clients to design captive insurance structures, which benefit from the advantages offered by the most attractive regulatory jurisdictions. U.S. Captive Partners & Associates has developed unique, turn-key structures, which allow clients to benefit from reduced costs. Please consult with U.S. Captive Partners & Associates for complete information on all charges, fees and expenses. Always review your implementation materials, fee memo and participation agreements for full details on pricing. The U.S. Captive Partners & Associates team of professionals is dedicated to providing our clients with the highest caliber of service possible in the industry. 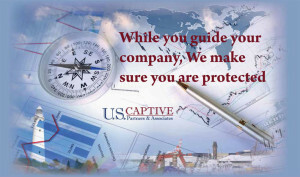 U.S. Captive Partners & Associates maintain detailed records of each and every document utilized in the formation and management of your captive insurance company. 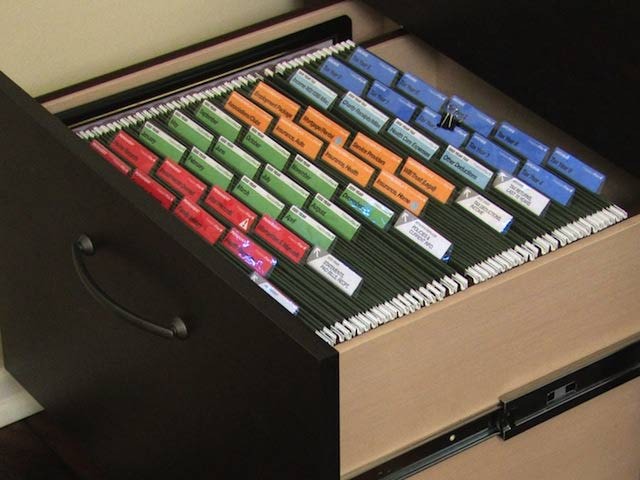 In the event you should ever need copies of anything to do with your captive, U.S. Captive Partners & Associates will have it all organized and up to date. Having confidence in the professional administration of their captive is one of the reasons U.S. Captive Partners & Associates clients continue to renew their coverage year after year.